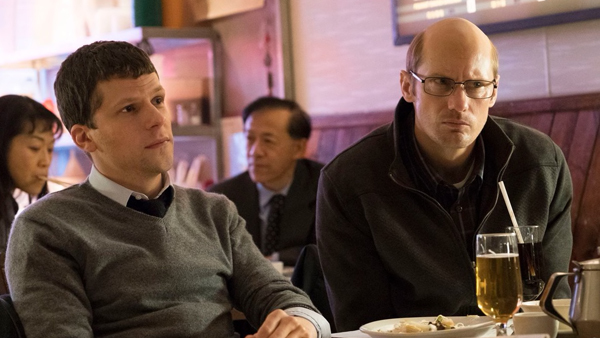 Jesse Eisenberg and Alexander Skarsgard star in "The Hummingbird Project," a tale of two entrepreneurs whose big moneymaking scheme looks and plays a lot like an elaborate heist. Directed by Oscar-nominated filmmaker Kim Nguyen ("War Witch"), the film co-stars Salma Hayek and Michael Mando. In his review of "The Hummingbird Project" at The Wrap, William Bibbiani praises Skarsgard's performance but argues that the film's airy tone "does little to address the film's frustratingly simple conclusions about life, the universe and everything."